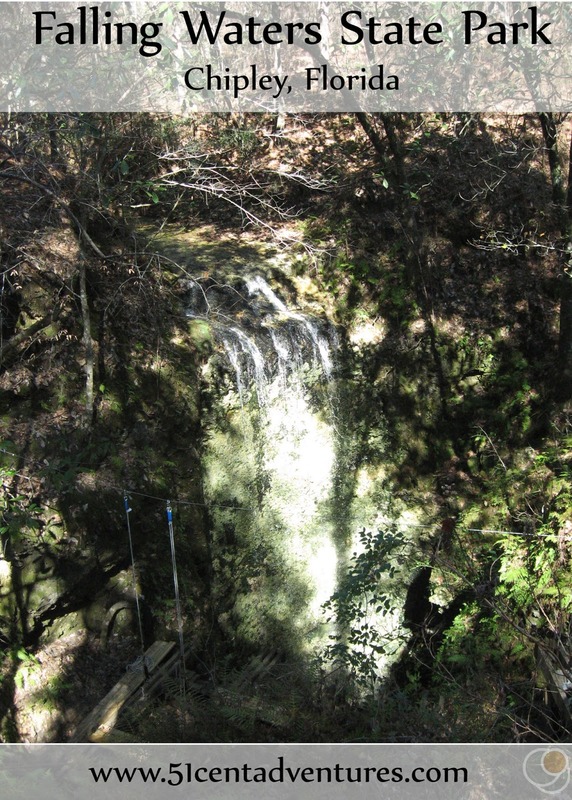 Description: Falling Waters State Park draws its name from the 73 foot waterfall that cascades over the edge of a cliff into a narrow sinkhole. While this feature is beautiful, it is hardly the only interesting feature in the park. 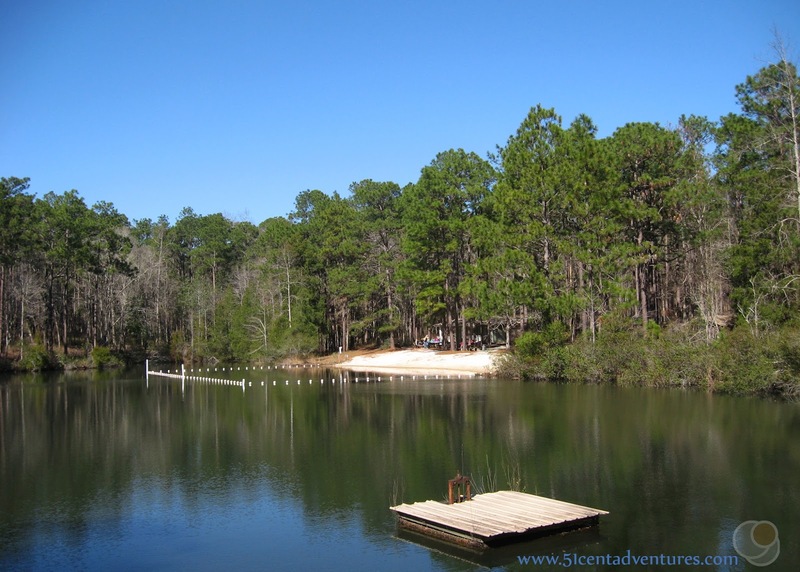 There are also numerous sinkholes, hundreds of tall trees, and the most picturesque man-made lake. 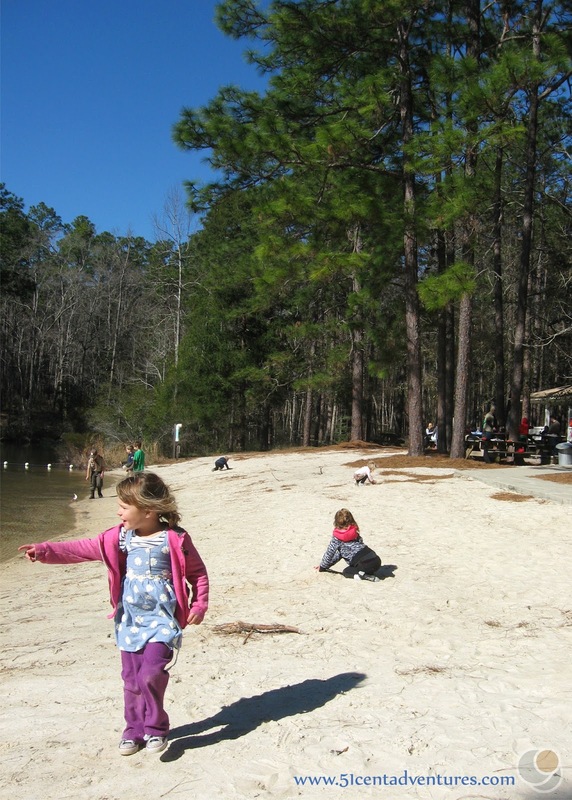 The lake even has a small beach with white sand. 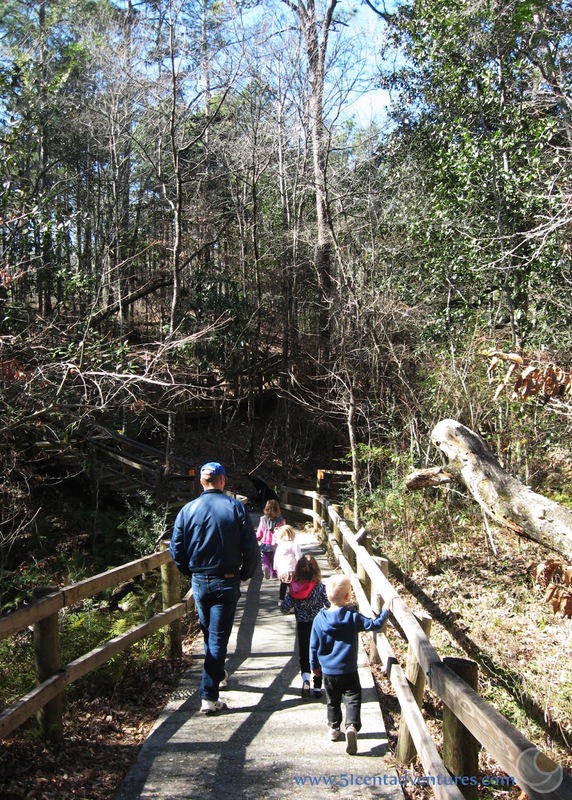 There is a well maintained boardwalk meandering through the park. 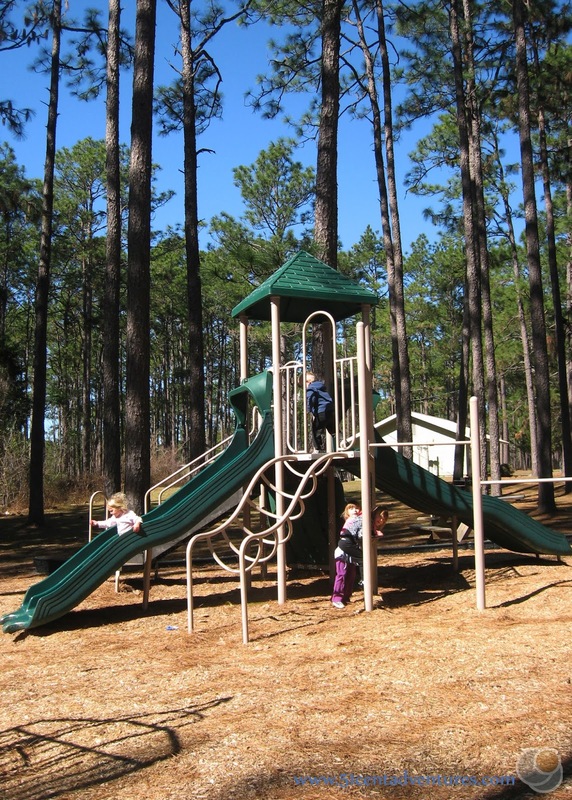 This park is a perfect day trip destination. Location: 1130 State Park Road Chipley, Florida. Chipley is in Northwestern Florida. 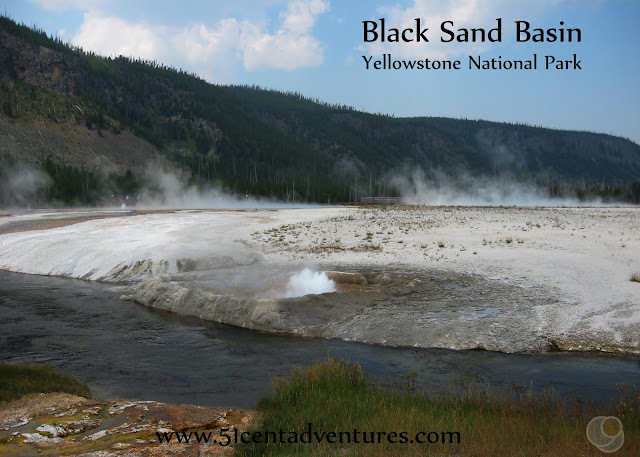 Cost: Entrance to the park is $5 per vehicle. Camping is $18 per night. Operating Seasons and Hours: The park is open from 8:00 am to dusk every day of the year. I'm currently dreaming of a road trip to the Lookout Mountain area on the Alabama/Tennessee border. Most of the reason I want to go there is so I can see Ruby Falls. Ruby Falls is a 145 foot waterfall that happens to be underground. I'm hoping the stars will align in the next few months and we'll be able to schedule a time for this road trip. 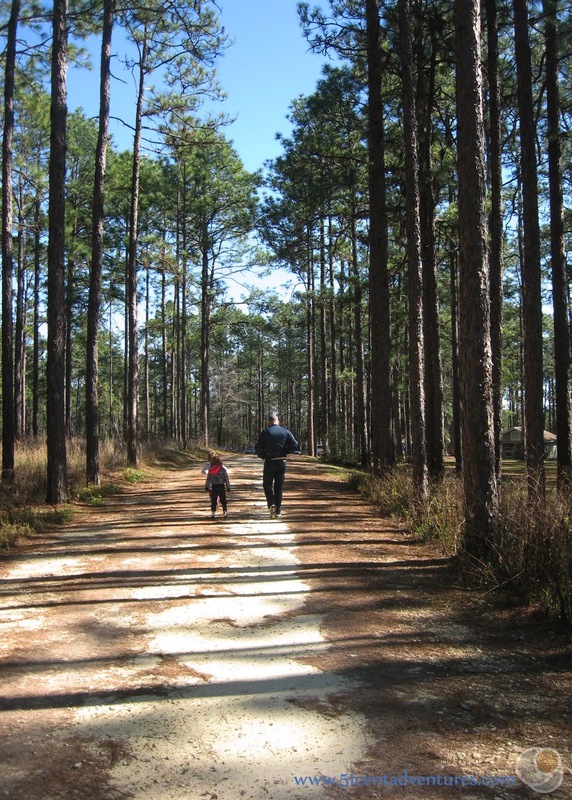 I've been fixated on all this stuff that I want to do in Northern Alabama, so I've been kind of depressed about the lack of interesting natural wonders here in Southern Alabama. So I was pleasantly surprised to read about a 73 foot waterfall that is over the border in Florida. 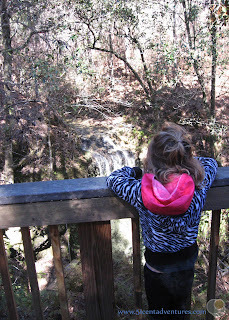 In my post about Florida Caverns State Park I mentioned that Falling Waters State Park would probably be the next day trip destination for my family. And so that's where we decided to go when the weather promised to be somewhat sunny last Saturday. It worked out really well since I considered waterfalls to be romantic, and it was the day before Valentine's Day. I was a little worried because the state park website said the waterfall's flow could be irregular and so there was a chance it wouldn't be very impressive. The website also said one of the observation decks was closed. But I wasn't too worried about those things since the price of admission was only $5, and we'd only have to drive an hour to get there. I figured if we liked the area we could always come back another time to see the waterfall better. After we arrived we drove to the parking lot and found a picnic table. 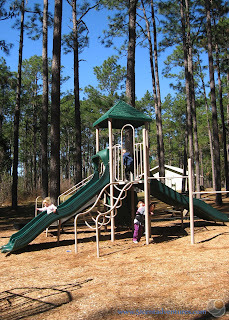 My kids were very excited that there was a playground. We had a quick picnic and let the kids play for a little bit. Then we started walking toward the trailhead for the path to the waterfall. 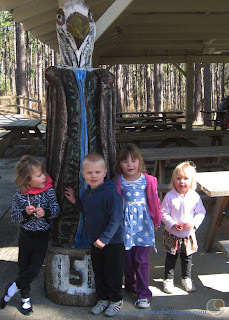 Before we got too far the kids wanted to pose with this statue of an eagle. We made it to the trail. 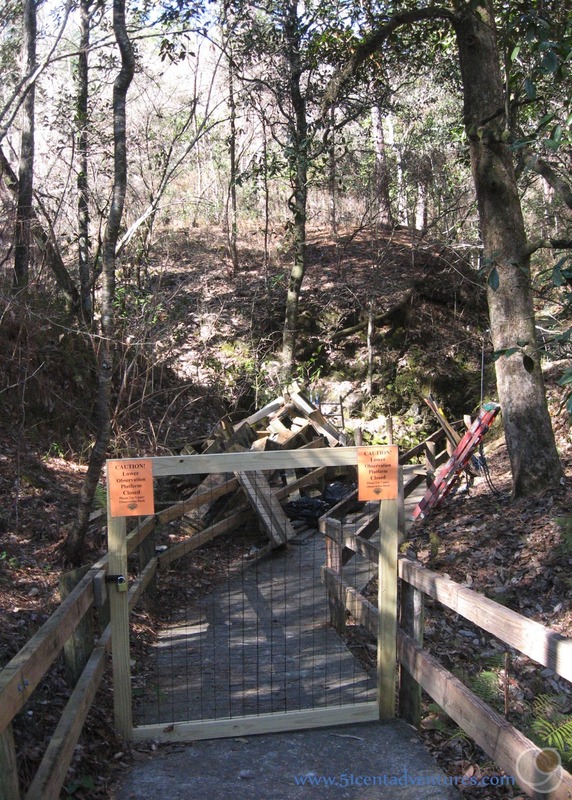 The trail was paved for part of the way, and then turned into a boardwalk. The edges of the boardwalk had guard rails around them. 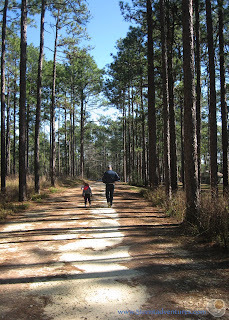 My husband and I love taking our kids on trails like this because we don't have to worry about them wandering off. After a short walk the trail led us to the waterfall. As the website had said, the lower observation deck was closed for construction. We were able to go up to the upper observation deck. We could see the waterfall just fine, but unfortunately it didn't photograph very well. The dappled sunlight and the dense foliage made it hard to get a good picture. I was also disappointed that we couldn't see all 73 feet of the waterfall. 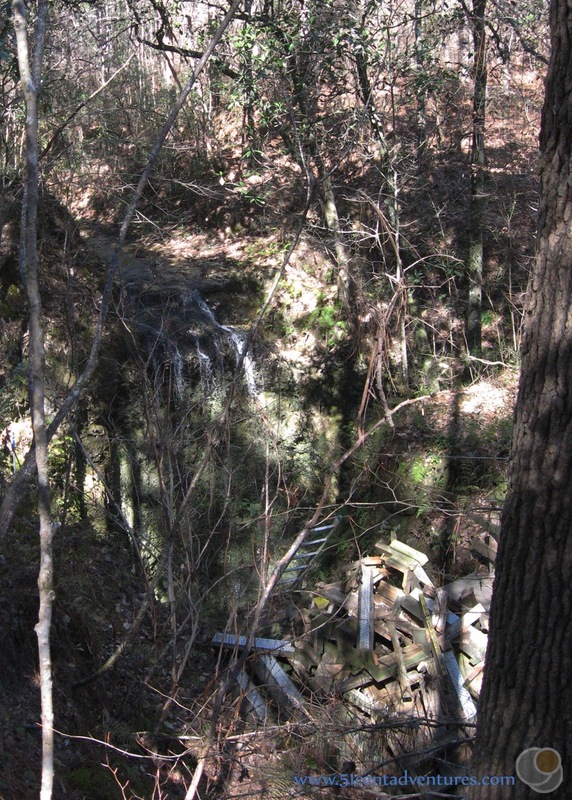 We could see about 20 feet of the waterfall as it cascaded over the edge, but after that it was obscured in a deep pit. The lower platform looked like it would allow us to see the whole span of the waterfall. Still, the kids thought the waterfall was amazing. They liked looking at it for a while. 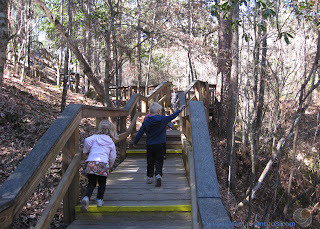 Then we continued exploring the boardwalk. There were several sets of stairs so this area wouldn't be good for strollers of wheel chairs. But there weren't any stairs between the parking lot and the lower observation deck. Part of the boardwalk trail led past some sinkholes. 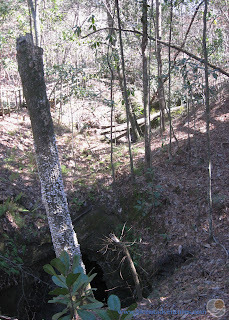 Signs told us the sinkholes were as deep as 100 feet. All of this area of Florida has what is called Karst Topography. That means the ground is limestone that has been eroded by water to form caves and sink holes. This is the same type of geography that formed the caves at Florida Caverns State Park less than 30 miles away. I was having trouble getting good pictures of the landscape features, but my husband and I happened to take a really great picture together. 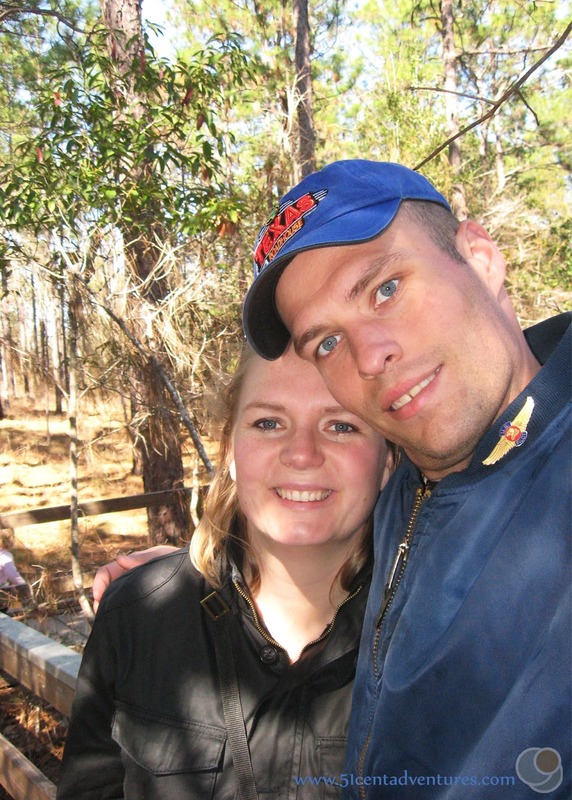 We both thought this was a great way to spend the day before Valentine's Day. 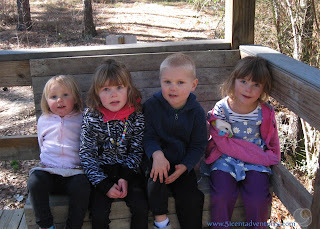 The kids even all posed for a picture- and they were all looking at the camera at the same time. That hardly ever happens. 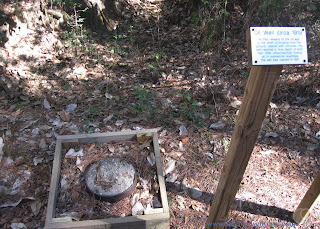 Our little walk took us past the sight of an abandoned oil well. 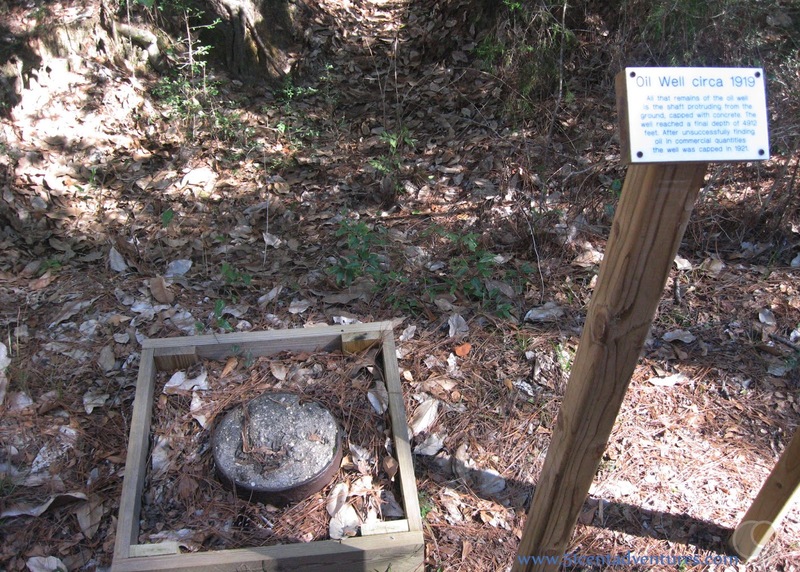 This well was dug in 1919. The well reached a depth of 4912, but never yielded oil. The trail also took us to a small lake. This lake was created to provide a constant source of water for the waterfall. I couldn't believe how pretty it was. The water was so still and clear. We stopped for a little while so the kids could play on the white sandy beach. The weather was too cold to get in the water, but we promised the kids we'd come back here another day so they could swim in the water. After we were done with the beach we walked back down a dirt road to get back to the parking lot. I have to mention these pine trees. Before I visited Florida I assumed that the whole state was covered with palm trees. It's taken me a while to get used to the idea that Northern Florida is just as full of pine trees as the rest of the Southern United States. Even though we didn't get to see as much of the waterfall as I would have liked, this was still a pleasant place to visit. It was a great place to spend the afternoon. And since this place was so inexpensive and so close I know that we'll be back to visit again. Update:August 28, 2016. We did make it back to Falling Waters State Park for a camping trip in June. Click the link to read all about it and see pictures taken from the completed viewing platform. 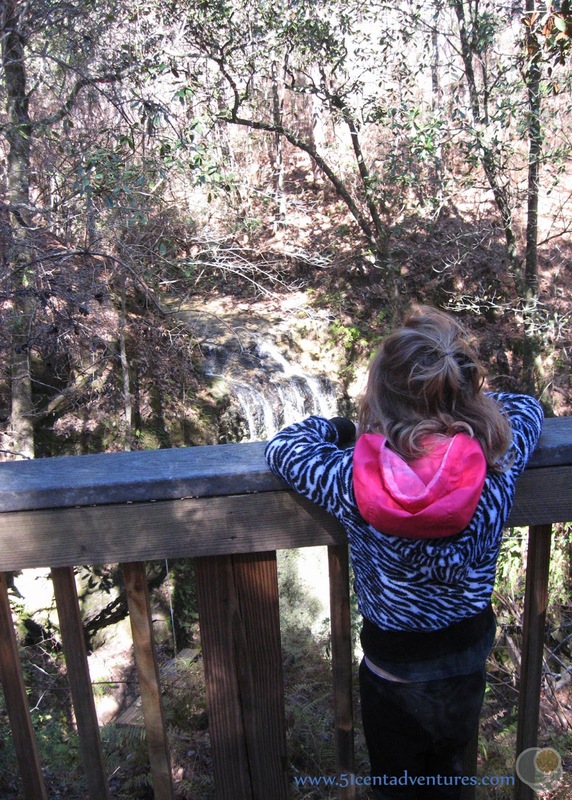 Recommendation: Falling Waters State Park is the perfect place for a day trip. The scenery is beautiful, the waterfall is interesting, and the price is low enough that you can come here again and again. Places Nearby: If you have a chance you should visit Florida Caverns State Park in Marianna, Florida. The two parks are less than 30 miles from each other.